Two Indians have been killed and nine have gone missing after Friday's twin shootings at two mosques in Christchurch in which 49 people have died. 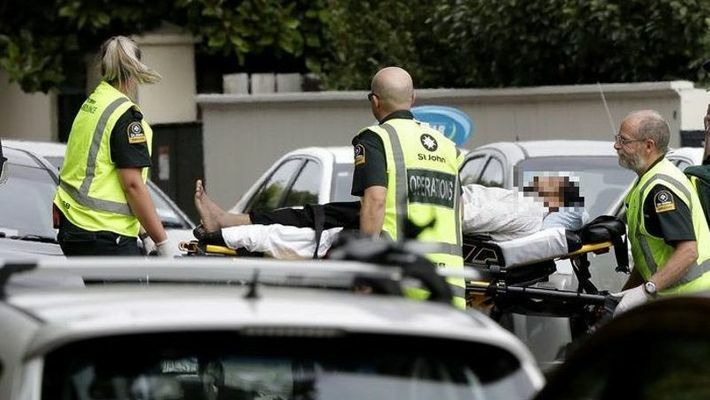 Christchurch: At least two people of Indian origin died after the terror attack at two Christchurch mosques, Asaduddin Owaisi, the leader of AIMIM (All India Majlis-E-Ittehadul Muslimeen Party) has confirmed. Nine person of Indian nationality have also gone missing, the Indian envoy in New Zealand Sanjiv Kohli has tweeted, citing updates received from multiple sources. Owaisi has also confirmed that the MEA has been assisting the families of the deceased to reach New Zealand in time. The High Commissioner said official confirmation of the number of Indian missing is still awaited and called the mass shooting a huge crime against humanity. The Minister of External Affairs, Sushma Swaraj has also shared helpline numbers of Indian High Commission in New Zealand for Indians requiring assistance. In a letter to the New Zealand Prime Minister Jacinda Ardern, Prime Minister Narendra Modi has "strongly condemned the attacks", the foreign ministry said. Approximately 200,000 Indian and Indian-origin people live in New Zealand. There are over 30,000 Indian students in the country, according to the Indian High Commission's data on its website.